I've got another skin saver for summer skin care, and for you oily/combo girls! 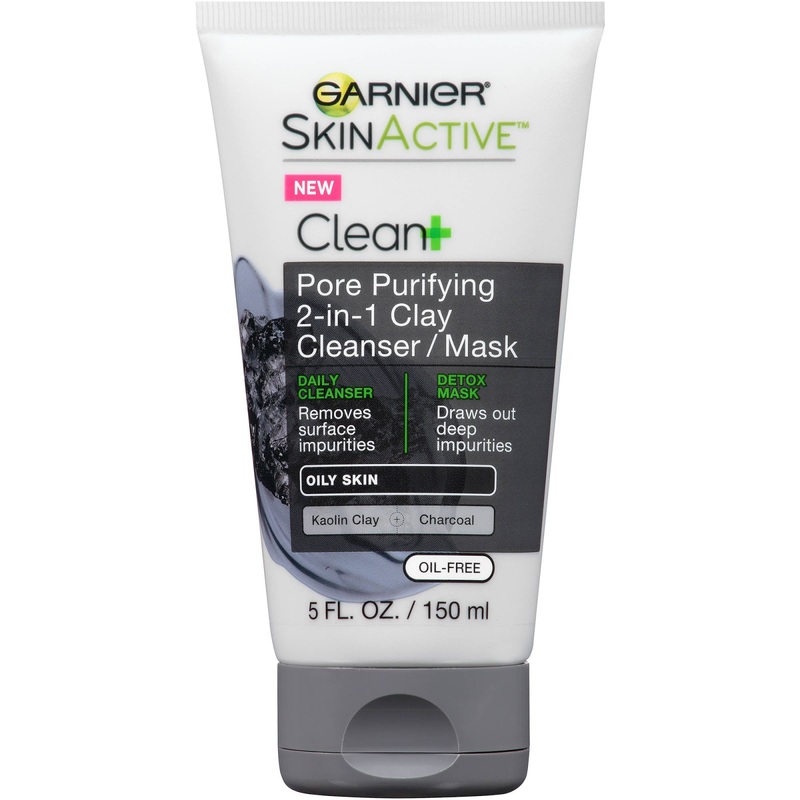 Garnier SkinActive Clean+ Pore Purifying 2-in-1 Clay Cleanser/Mask cleanses and draws out extra oil and clogged pores, as well as tones and hydrates drier parts of skin. It contains charcoal, which is featured in a few of my beauty finds, as well as clay, which is what allows it to also work as a mask. For very oily skin, you can apply first as a mask, continue with the rest of your morning routine and then rise off, with water, making a lather for complete cleansing. I loved how silky and lightweight the mask felt on my skin. When I used it as a combo treatment, my skin felt toned and balanced in my more oily areas, but my cheeks were never overly dry, tight or flaky. After drying off, my skin had a clear, matte finish (but without it feeling overly tight or dry!). This was great for clearing out pores around the nose when the weather causes me to perspire and potentially break out. I saw a lot of improvement after using this at least 3-4 times a week as either a cleanser or cleanser/mask. *This product was provided courtesy of Garnier PR for reviewing purposes.